Looking for door or window locks? Don't trust your security to the DIY locks you find in big box stores. Take advantage of our experience and personal recommendations, and benefit from the advice of a professional for your security. Feel safer knowing that your locks are high quality, and installed correctly. 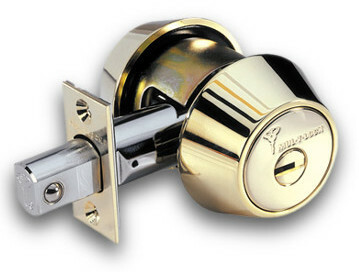 Hartford Safe & Lock is proud to recommend and install Mul-T-Lock High Security locks. Recognized in the industry for their high security, Mul-T-Lock locks have long been the standard against which all other high security door locks are measured. Of course, the best lock will only work when it is properly installed. Our expertise in selecting the proper door or window locks for your home or business, and then installing them correctly, will ensure that you really take full advantage of the security these high quality locks provide. 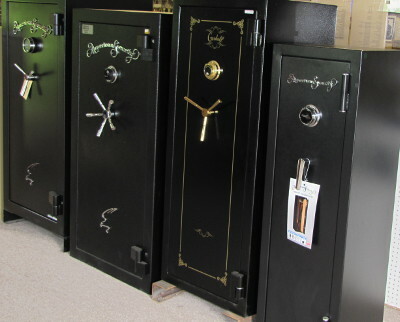 We carry safes for every application, from drop safes to gun safes. Safes and vaults can keep your belongings secure and can help you avoid future stress and heartache. Often, first time buyers are amazed at the array of options and attributes to choose from - do you need a one hour or two hour fire safe? Combination lock or electronic keypad? What if the batteries die? The vast number of choices can sometimes be overwhelming, and without expertise to guide you, your safe may not really be quite as safe as you would hope! Our knowledgeable staff can help you find the security system that suits you best – and at a price you can afford. Hartford Safe & Lock is proud to recommend and sell American Security (AMSEC) and Gardall Safes. Both AMSEC and Gardall safes are American made, and we are proud to support American businesses. These companies both have a proven track record of reliability and security, in fact an AMSEC safe recently survived a home explosion! Let us help you choose the perfect safe for your needs. Visit us today to keep your belongings safe, all while saving yourself money.